The Commissions Hover. When you’re logged in to Bigstock, just hover your mouse over the words “your account” on any page to see your latest statistics at a glance. The Image Earnings Graph. Visit the “Your Account” section of Bigstock and track your earnings visually over time with our new graph showing your earnings per day. You can also export your earnings to a CSV file, so you can use this data in your own database or spreadsheet program such as Microsoft Excel. The Image Statistics Table. Our image statistics table, also part of the “Your Account” section, gets a snazzy new interactive design. You’ll now see a thumbnail of each image when you hover over the image name. We’ve also introduced a series of new graphs that help you instantly visualize how well each of your images is performing. And as with the earnings graph, you can export this data as a CSV file. Better data. We’re adjusting the way we count image views to exclude automated activity, such as spiders from search engines. We’ll be scrubbing all the archived data to make sure it’s consistent with this change. These new statistics will help give you a better idea of how many people are viewing your Bigstock images. 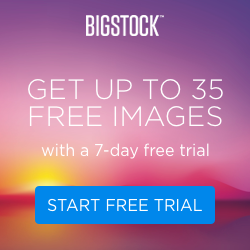 Use these tools to build the best-selling Bigstock portfolio you can, and maximize the earnings from your excellent creative work.